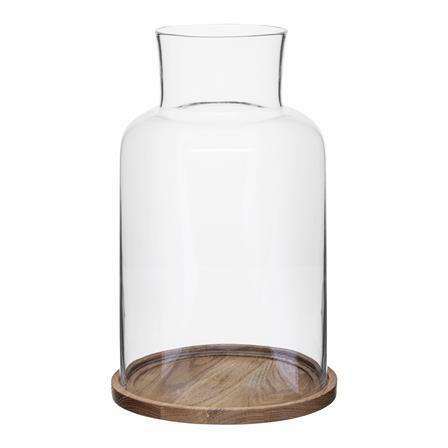 Sagaform solid Oak candle base holder with a curved open bell shaped glass cover. Simply designed with function in mind.The base has a glass plate designed to make it easier to clean off any melted wax. Available in two different sizes for one large or several smaller pillar candles. with a glass Don’t forget to oil the oak base regularly.